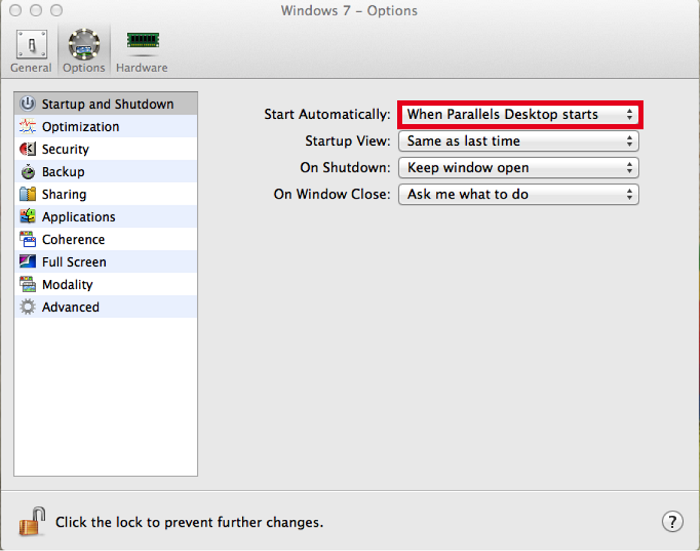 Settings in the Virtual Machine Configuration needs to be set to start/not start Parallels Desktop automatically. Open Apple logo > then go to System Preferences... > choose Users & Groups > highlight your user account > go to Login Items tab > hit "+" sign > choose Macintosh HD/Applications/Parallels Desktop.app > hit Add. Start virtual machine in question > on the top of your Mac screen go to Virtual Machine menu > choose Configure... > open Options tab > highlight Start and Shutdown > change Start Automatically field to When Parallels Desktop starts. Next time you login into your Mac account your Parallels Desktop application and virtual machine will start automatically.